JJ Vinten plays jazz piano for the very best. A performer of legendary status amongst his peers, JJ was the late George Melly’s accompanist with John Chilton’s Feetwarmers for ten years and subsequently toured the world with his exciting piano playing, including a permanent Christmas season at Ronnie Scott’s, in Soho, London. He also made numerous TV and radio appearances during this time. This vibrant new group, formed from top class professionals who have all paid their musical dues, brings a seasoned yet fresh approach to quality jazz with an eclectic choice of material. In his twenties and thirties JJ had the opportunity to accompany many visiting American jazz greats including Wild Bill Davison, Kenny Davern, Warren Vache, Al Casey and Benny Waters and performed with the British bands of Acker Bilk, Terry Lightfoot and Kenny Ball. He has also performed at the prestigious Nice and Los Angeles Jazz Festivals and been guest musician on tours of Germany and Switzerland. Away from the concert platform, JJ is equally at home in more intimate situations such as private parties and weddings. 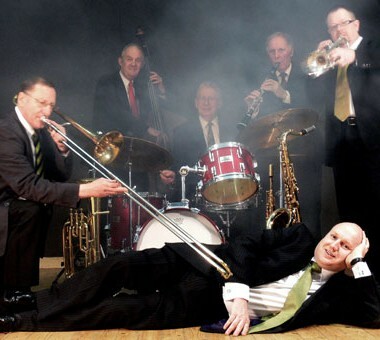 In 2008 he formed The JJ Vinten Band, which brings you the sounds of the iconic forties and fifties when 52nd Street swung with the rhythms of hot jazz. They present the best of music from Louis Armstrong, Duke Ellington, Harry Connick Jr, Jamie Cullum and Michael Buble superbly sung and played by musicians internationally acknowledged as being foremost in recreating the great American jazz age. 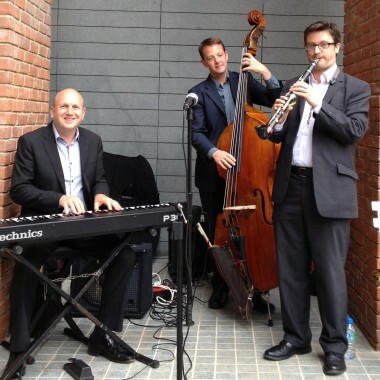 If you are having a small party then they can provide an unobtrusive duo or trio which specialise in providing ambient and sophisticated background music or, if you are planning a wedding or running a large event or festival they can provide you with a full four to six piece band to entertain you and your guests. So dance to the irresistible rhythm, smooch to a romantic ballad or just listen to the blues from this great band. British Trumpet and Flugel horn player, Andy Dickens has delighted audiences in the UK, Europe and The Middle East for over twenty five years with his ever fresh blend of fiery jazz, bluesy vocals, ballads and popular standards. He has worked with Ken Peplowski, Slim Gaillard, Joe Darensbourg and Jools Holland. Dave has played with the Freddie Randall All Stars, The Alan Elsdon All Stars, Laurie Chescoe’s Good Time Jazz Band and Keith Smith’s Hefty Jazz, and toured for three years with Georgie Fame in the show ‘Basin Street to Broadway’. He has also played with many visiting Americans, including Wild Bill Davison, Peanuts Hucko, and Kenny Davern and appeared at the Montreaux Jazz Festival with Teddy Wilson and Stephan Grapelli. 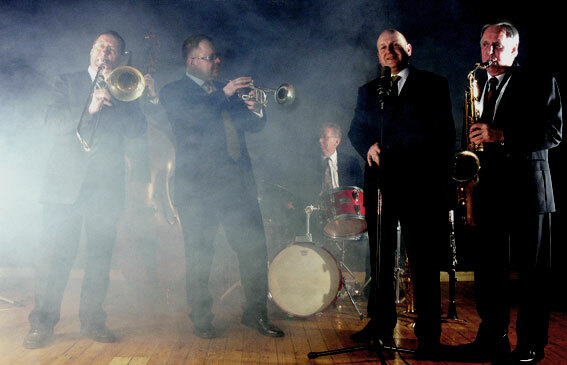 Goff’s swinging style has earned him guest appearances throughout Britain, as well as regular work with Neville Dickie, the Gresty/White Ragtimers and the Ray Terry Band. 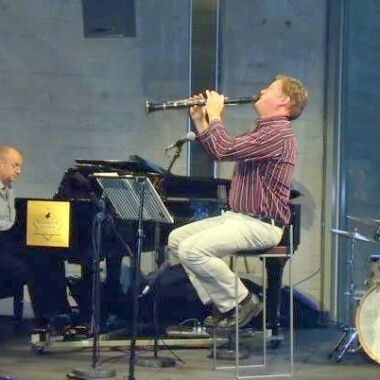 With these he has been featured on several CDs, and has played at Jazz Festivals and concerts as far afield as Toronto, Palm Springs, Sacramento, Nice, and the Middle East. Andy has played with many jazz greats, including Little Brother Montgomery, Terry Lightfoot, Memphis Slim, BB King, Yank Lawson and Marty Grosz. He toured France and Spain playing rock and roll, later joining Terry Lightfoot with whom he has recorded and toured extensively. Colin began his playing career in Frankfurt. On his return to UK he worked in commercial groups around London, appearing with the Roy Budd Trio and with visiting American soloists such as Wild Bill Davison, Kenny Davern, Warren Vache, Al Casey, and Billy Butterfield. The Chris Barber Band gave him the opportunity to work and record with such stars as Lonnie Donegan, Van Morrison, Brian May, Mark Knopfler and Andy Fairweather-Low. I have listened to Jonathan Vinten with real pleasure over a number of years, playing solo, with his trio and recently with the full six piece band. Whatever the venue, ranging from the humble surroundings of the Tunbridge Wells Jazz Club to Leeds Castle, the Savoy Hotel London or the Grand at Brighton, his sheer quality as a musician stands out, as does the range of his repertoire. You need no telling that he has played with the very best in the business, yet, unlike some jazz musicians who seem to play for their own pleasure, Jonathan always sets out to entertain his audience. The standard of the trio is pressive. I have heard the “big” band only once so far but it was a joy, with a fine balance and extended solos you just had to listen to. The day couldn’t have started on a more perfect note. ‘Here Comes the Bride’ turned into ‘It Had to be You’, and that traditional wedding march became fabulously cool in 8 simple beats. You turned tears to laughter, what more could a bride want!